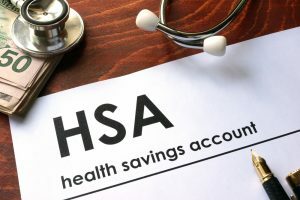 The principle of the Health Spending Account (HSA) originated in the United States, where it was developed following the implementation of flexible benefit plans. The concept was imported to Canada in the late 1980s when Canadian Revenue Agency (CRA) adopted various Canadian rules with respect to benefit eligibility and tax treatment. The popularity of Health Spending Accounts has increased during the past decade as employers have seen them as efficient tools to control the increasing cost of either the Fully Insured Traditional Benefit Plan or Private Health Plans while being able to offer their employees an attractive and affordable option that provides choices. A Health Spending Account can be used to replace a Personal/Family Stand Alone Health Benefits Plan for owners of a company. Health Spending Accounts can be used to replace Fully Insured or Self-Insured Traditional Health and Dental plans for employees. A Health Spending Account can sit beside either a Fully Insured Traditional Benefit Plan or a Self-Insured Benefit Plan to offset expenses that were not eligible for coverage under the plan or where the maximum coverage had been reached under the plan. 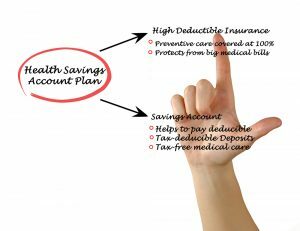 A Health Spending Account can be offered as a component to a Flexible Benefit Plan. A Health Spending Account allows for reimbursement of eligible medical and dental expenses which otherwise would have been payable by the employee/individual with after tax dollars. A Health Spending Account resembles a personal bank account in that it works with debits and credits. As long as the account balance is positive, the individual may obtain reimbursement for eligible medical and dental expenses and his or her account will be debited by the paid amount. The amount deposited in each account must be used within a specified period (1 or 2 years), after which the unused balance will be forfeited and returned to the employer. This is known as the “use it or lose it principle” and is necessary to maintain a reasonable element of risk in the benefit plan. Canada Revenue Agency requires that Health Spending Accounts must qualify under the rules of Private Health Services Plans. 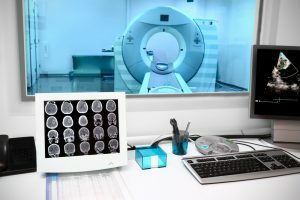 The greatest advantage of a Health Spending Account is that it provides coverage to enable each employee to specifically meet their individual or unique needs over and above any other basic insurance. Essentially, the employee has 100% choice as to the expenses that they choose to have reimbursed up to the maximum amount of their funding. What is the Taxability Status of a Health Spending Account? All Health Spending Accounts are 100% funded by the Employer and the amount of funding per employee and all benefits received are Non-Taxable to the Employee. Who can be Covered By a Health Spending Account? 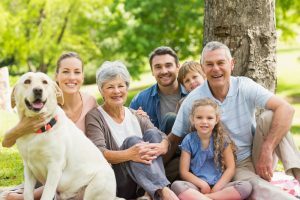 A Health Spending Account can cover eligible expenses for employees, their spouses, and any dependents for whom they may be claiming a tax deduction for the current year. This means that the definition of dependent for a Health Spending Account may not be the same as that of a traditional group plan. What are the Health Spending Account Parameters through Health Risk? • The Employer determines how much they wish to fund each employee account on an Annual basis. The funding is referred to a Spending Dollars or Spending Credits. • The Cost of the plan is the Administration Fee charged on the Funding Dollars. • I like to recommend that the Policy Year be based on the Calendar Year….employees who become eligible for benefits at any time during a Policy Year will have their benefit pro-rated for the remaining of that year. • All Medical, Dental and Vision Expenses qualify as long as they are deemed medically necessary and eligible by CRA. • You can create several different levels of funding based on parameters such as Full Time Only, Occupation Classification, Salary Levels, and Years of Services etc. The rule that must abide for levels of funding is that anyone who is qualified for a level based on the parameters must be eligible for the benefit. • HRS can establish your funding of the accounts to provide Annual, Monthly, Semi-Annually or Quarterly. – In the event that you choose to fund in any other way except Annual, we will automatically carry forward expenses for which there were inadequate funds to reimburse the full claim to the next funding period WITHIN the current Policy Year. – You can Roll-Over any Unused Funding Dollars from the current Policy Year to a 2nd Policy Year. If they are not used by the end of the 2nd year they are removed from the account and returned to the Employer. – You can Roll-Over Unused Expenses that were incurred in the current Policy Year but for which there were inadequate funds for full reimbursement into the next Policy Year. • Should an employee be terminated or leave your employee, any unused funds in their HSA will be returned to the employer and is NOT eligible to be awarded to the employee as a Notional benefit. There are many advantages to implementing a Health Spending Account for your company and its employees, but there are also many rules that must be followed to always keep your plan onside with CRA. At Health Risk, we have spent many years researching and providing Health Spending Account plans to our clients and would welcome the opportunity to provide a customized plan for you as well.